Artemis Racing came last in the previous series event in Oman. 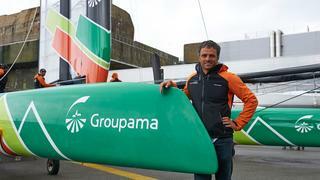 Groupama Team France is welcoming back skipper Franck Cammas for the Louis Vuitton America’s Cup World Series in New York this week. Cammas suffered an open fracture at the bottom of his right tibia after falling overboard and being run over by the boat’s rudder, while training at the end of 2015. Following immediate surgery and five months of intense rehabilitation, Cammas has admitted he took some risks but was desperate to re-join the French team in time for May 7. He said: “I focused on the positives the minute I learnt that my foot had been saved. From that point, I gave my all to my rehabilitation and the other team-related activities. I think this approach got me into a virtuous circle, which favoured my recuperation. "However, it’s important not to lose sight of the tough times where the pain really called for me to grit my teeth. I put myself in the red in a bid to recover as quickly as possible. When you’re aware that the group is in training and progressing and you can’t be part of all that it’s frustrating and inevitably led to tension at times. I had to get back to the top of my game, which took a great deal of effort and self-sacrifice. "Today, I’m still cautious when it comes to jumping on the trampoline, but I’m more motivated than ever and I’m happy to be in a position to face up to the competition with a talented crew. I’ve missed the competition environment,” added Cammas. Cammas' return is a much-needed boost for Groupaman Team France, currently in last place. But it's not the only team reshuffle ahead of the America's Cup World Series in New York this weekend. Oracle Team USA, currently second, has added former college standout sailor Matthew Cassidy while Artemis Racing has bolstered its team with the acquisition of Christian Kamp. 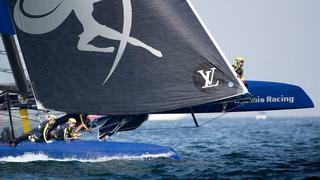 Both sailors will be making their America’s Cup debut in New York. With little experience racing the AC45F boat and limited practice opportunities, Cassidy will have to get to grips with the boat quickly and has been doing his research. “I sailed on the non-foiling AC45 boats back when I tried out with the team in 2014, but that’s the closest I’ve been to sailing on one of these boats. So I’ve been looking at a lot of video footage and talking to the guys, getting help from our coach, but at a certain point you just need to get out there and get into it,” said Cassidy. After a disappointing last place finish in Oman, Artemis Racing has turned to Kamp to bring much needed improvement to the team. “I’m excited to be joining the World Series team. I’ve been wanting to go for a long time and I’m happy to get the opportunity now,” said Kamp. "We’ve had a few changes in the crew since the last event, just one actual crew change but new positions for a few people. I am sliding into the spot as trimmer where I am very comfortable. 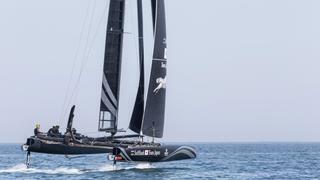 It will be a first time for me racing these foiling AC45 World Series boats, but I know they are a lot more like normal yacht racing in terms of the fleet racing format, the compressed courses, boundaries, and having to make quick decisions,” added Kamp. The Louis Vuitton America’s Cup continues in New York on May 7-8 with Emirates Team New Zealand closely leading the pack ahead of Oracle Team USA and Land Rover BAR.